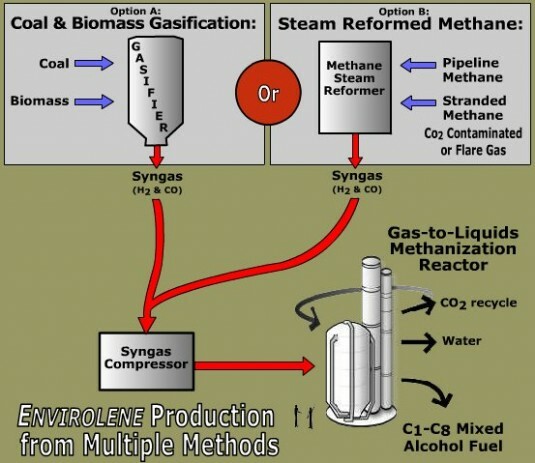 Carbon Sciences Inc. is probably best known for its fledgling technology to "dry reform" methane into liquid fuels. But it will take some time to perfect that technology and scale it up. What can Carbon Sciences do in the meantime, in terms of maintaining a healthy cash flow? The company is aiming for the lucrative $150 billion/yr market in the steam reforming of methane to produce syngas -- primarily CO and H2. Carbon sciences believes that its proprietary catalysts provide it with an advantage over competing purveyors of catalytic systems for steam reforming methane. 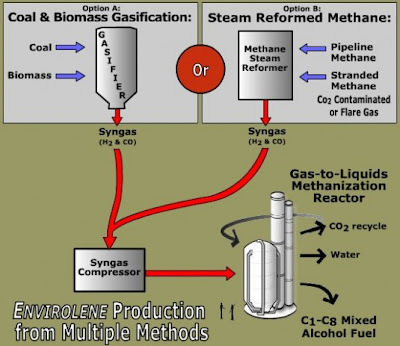 Here is the basic schema for H2 production via steam reforming of methane. Carbon Sciences Inc. CABN -10.16% , the developer of a breakthrough technology to make transportation fuels and other valuable products from natural gas, today announced that it will add to its core technology by accelerating the development of a steam reforming version of its proprietary catalyst for use by existing synthetic gas (syngas) plants. There are more than 2,000 plants worldwide that use steam reforming of natural gas to make syngas for the production of large volume chemicals such as hydrogen, methanol, ammonia, solvents and detergent alcohols. Carbon Sciences is not giving up on its primary long-term market -- the methane to liquid fuels market. Nor is the company giving up on its most prized long-term technology -- the dry reforming of methane, using CO2 instead of steam. But market realities have to dictate short and intermediate term actions, and the hydrogen (and methanol) markets are ready in the short and intermediate term, with little additional capital investment required by Carbon Sciences. There is a large global market for hydrogen in the production of distilled petroleum products, ammonia, methanol, and more. Methanol itself (from steam reforming of methane) is a lucrative worldwide market, which is used for a wide range of applications. 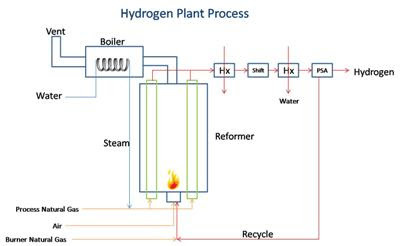 Another Use for Steam Reformed MethaneCarbon Sciences specialises in catalysts, and is hoping to be able to sell its catalytic system for steam reforming to as many distinct industries which use the process (for making H2, CH30H, syngas, etc) as possible. That is how startups often succeed -- by utilising pre-existing niches for a sub-part of their overall process. Cash flow is cash flow, as they say. Sometimes startups learn that the short-term markets-of-convenience work out better in the long run, than their initial long-term goals. In a rapidly changing environment such as today's energy and petrochemicals markets -- where everyone is looking for more economical substitutes for crude oil -- smart entrepreneurs will learn to think on their feet. Super Frackin' Gasolicious Extra Oiliosis!